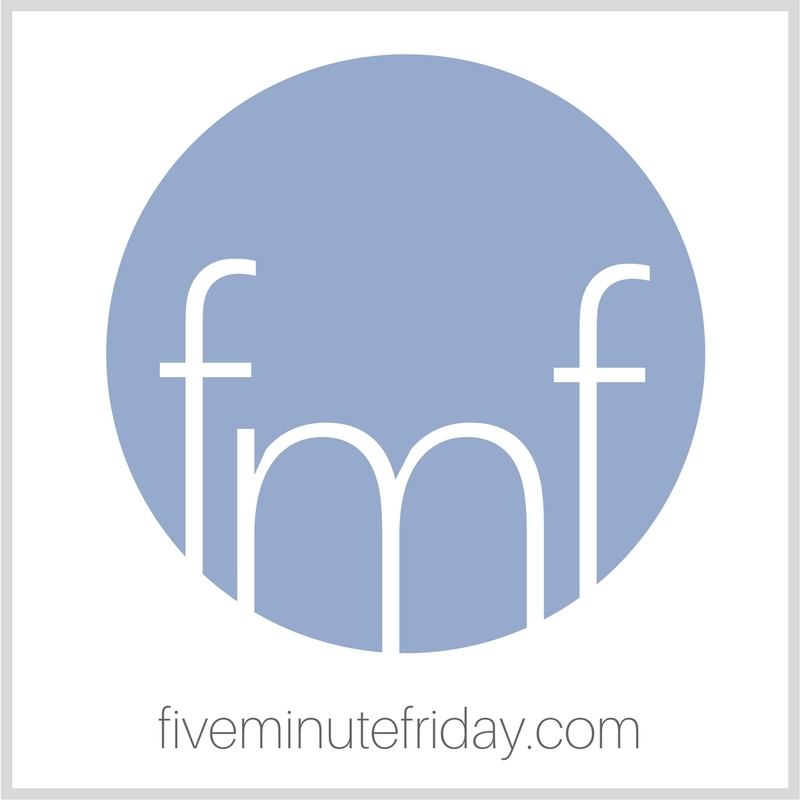 Welcome to this week’s edition of our weekly Five Minute Friday writing prompt link-up! If you’re new, here’s the scoop: We provide a one-word prompt every week, and you have the opportunity to free write for five minutes flat on that one word, then join the link-up below. Then be sure to visit your link-up neighbor to read their post and leave an encouraging comment! The inspiration for this week’s prompt comes from my new book, Influence: Building a Platform that Elevates Jesus (Not Me), which just released this week! Affiliate links have been used in this post. Thanks for the support! I dedicated this book to you, the Five Minute Friday community. My prayer is that it would be a great blessing and encouragement to you as you seek to use the gifts and influence God has given you for His glory. Want to read more about what to expect from the book? We’re offering some free bonus material to go along with the book as well. Get your printable memory verse cards and worksheets below! When you pause to think about it, what influence do you want your life to have? What impact do you long to have in the lives of other people? In this digital age, it’s easier than ever before to spread our messages. So the question I’m posing today is: What messages will you spread? Whether your sphere of influence seems great or small, it is still significant. Imagine if you could positively affect just one person. Would it be worth it? How can we use tools like social media and the internet in general to influence others for good? How can we use these resources to influence others for God? As we post on social media, let’s ask the question: Does this post have the potential to edify or build up its readers? Just a reminder that this is the last weekend to fill out the annual FMF Survey if you haven’t done it yet! I’ll draw a winner on Monday, January 21st to win a $25 Amazon gift card. Join the link-up by clicking the blue “Add Your Link” button below, and be sure to visit your link-up neighbor to read their post and leave an encouraging comment! that my intentions may be for naught. that keeps me pinned inside. thrown shoeward; I least I tried. is that there’s hope, our Saviour’s near. Great questions Kate for us to think about. Thank you! Thanks for being here, Lynne! I always enjoy FMF and find it a fun challenge each week. I like the whimsy of it. I never take myself too seriously when writing FMF – just kind of let it roll. Amen, Misty! Thanks for sharing! One of my deepest and consistent prayers — that the influences in my son’s life will continue to lead him closer to Jesus. I’m so grateful he has been open to the influence of his Dad and me, teaching him about our Savior, talking about all the many ways He influences every moment of every day and trying our best to cooperate with His influence on our every action, every word — allowing His amazing grace to influence our hearts with unconditional love when we fall short. What a beautiful prayer and way to life your life, Michelle! May the Lord bless the work of your hands! What influences me? What decides the direction my feet take, which words I use or the attitude of my heart. It is the one who smiles, who puts a song on my lips. He who calls me beloved, who tells me to wait, to rest, be restored. Who shows me beauty in a snowdrop or tells me truth I can trust in. The one who reassures me in the silence that my weakness doesn’t matter for his strength is enough. I have been asking myself those questions…and I realized my blog wasn’t saying what I wanted it to say, so I started it all over again to try and be the influence I want to be with the plat form I have chosen. We’ll see how it goes. And I think we should all ask ourselves those questions. It can be a dark world…and I’d rather be a light than add to the darkness. Great questions! Love how you challenge us! Thank you so much, Kate! Fantastic question, Kate. I know I’ve thrown my words away on many occasions. I don’t want to do that anymore.